Tradeshow Booth - XZIBITS, Inc. 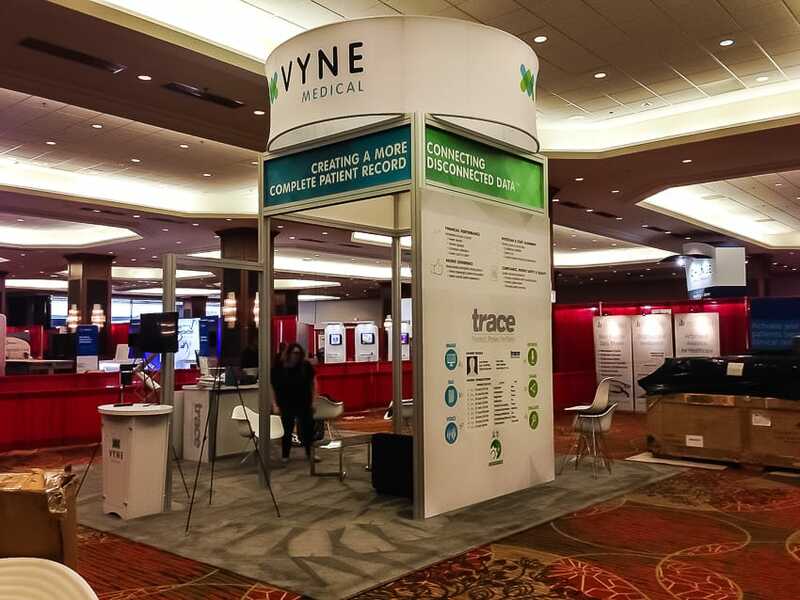 Maximize booth space and visibility with Trade Show Display Ideas that align with your marketing and anticipates the changes of your growing brand! Call XZIBITS for a custom, impactful tradeshow booth! We Put the Show in Tradeshow! If you’re Looking for a High-Quality Tradeshow Booth, Call XZIBITS Today! Utilizing professional designers can greatly enhance the quality of your trade show experience. XZIBITS is a full-service trade show product provider that prides themselves in supplying extraordinary exhibits for our clients! No matter what kind of Trade Show Display Ideas you may have, we’ll listen to your thoughts, and help you devise a plan. From creating custom table covers, educational materials, furniture, and lighting, we have what it takes to exceed your expectations! We work diligently to create an experience for your business that fits and balances with your design budget. We also create tradeshow booth designs to help draw the crowd’s attention to your tradeshow exhibit. Through our exhibit design creation, we meet your budget and goals while providing the best solutions for your business. Wow the crowd with a custom Tradeshow Booth from XZIBITS! There’s no other place that does it quite like us! Call for a consultation today! Create the Trade Show Booth No One Can Ignore! Call XZIBITS for an Exquisite Trade Show Booth Today! 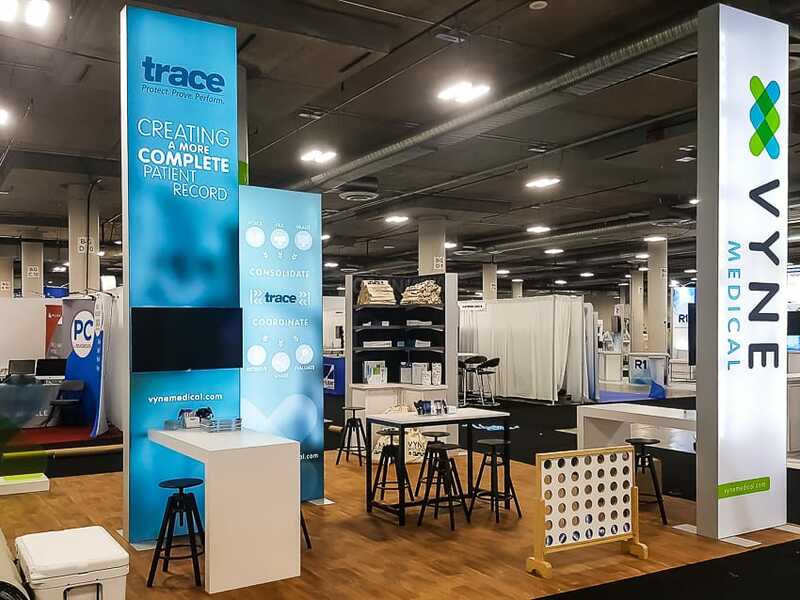 It can be hard searching for a tradeshow booth that implements all the features and enhancements that properly reflect your business and brand. It’s more than having a stunning trade show booth; it’s about having a design and functionality that converts on-lookers into happy clients. Trade shows are filled with thousands of exhibits, and most times, you only have one chance to impress a client before they walk away to a Tradeshow Booth that captivates them! Our custom Tradeshow Booths at XZIBITS are guaranteed to persuade your client to buy from you. The process is simple. We gain an understanding of what you want, and then strategize how your Tradeshow Booth design fits congruently with your brand. We have a team of skilled designers who can execute any Trade Show Display Ideas you can think of! Our job is to bring awareness and engagement to your brand. If you’re looking for creative solutions to fulfill your Tradeshow Booth Ideas, call XZIBITS today! Stand out with an exceptional exhibition booth from XZIBITS! Create an Experience that Fits and Balances with your Design Budget! Call XZIBITS for a Consultation! Tradeshow Booths are made to draw in the crowd’s attention! Through XZIBITS design creation, we’ll work to meet the budget, goals, and solutions for your business to optimize your Tradeshow Booth experience. From concept to final product, we can sculpt any design that aligns with your brand. We will collaborate with you to get your vision from your head to a full product – your Tradeshow Booth! We make eye catching designs guaranteed to lure in potential customers. With educational materials to keep visitors engaged, and your sales team to reel in the deal, you’re bound to see the return on your investment! Our detailed team will ensure you’re completely satisfied with your Tradeshow Booth. Plus, our custom trade show designs are flexible and made to grow with you! We will assess your current and future needs and anticipate the changes that come with custom booth design. We’re dedicated to making your project come alive! Call us today to see how!